At the very least we should have felt a loud impact yesterday as the planet Nibiru crashed into earth. That’s how some people interpret the writings of David Meade (pictured right) at the website Planet X News, though the post itself seems more focused on October 15th. Was it changed? In a UK interview two days ago with The Sun he says we all misunderstood the September 23rd date, and seems to be leaning to October 21st, and this date as more of the beginning of seven years of nuclear war. Failed date-setting has discredited Christians many times before. Why can’t we learn from history? William Miller, the father of Seventh-day Adventism, was convinced Jesus would return in 1844. When his prediction turned out to be bogus, many disillusioned “Millerites” abandoned their faith. Recent history is littered with more of these embarrassing predictions. 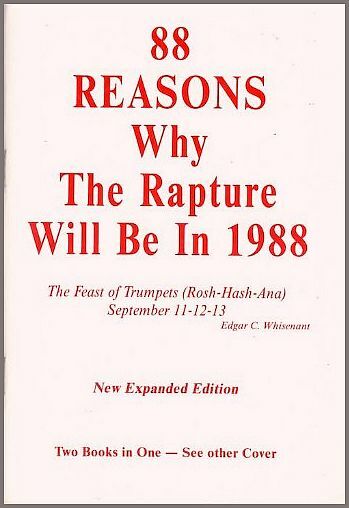 It hasn’t been that long since Edgar Whisenant, a Christian layman, wrote 88 Reasons Why the Rapture Will Be in 1988. Millions of believers bought that paperback book. 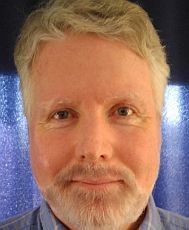 Other Christians have made similar predictions—such as the Y2K scare in 1999 or Harold Camping’s infamous warning that the world would end on May 21, 2011. On top of that, the dominant teaching in Evangelicalism clearly points us away from the total destruction of this planet. Cataclysmic events maybe; perhaps even precipitated by rogue dictators of Asian nations. But an eschatological view that incorporates New Earth should imply to us that the planet is not entirely doomed. End-times date-setting hinders the cause of Christ. It’s wrong-headed and irresponsible for any Christian to tell an unbeliever when Jesus is coming back or when the world will end. That’s not the message we were commissioned to preach. Dates and deadlines don’t have the power to save souls—only the gospel can do that. When we share Christ with others, we don’t need to provide a date for His Second Coming. Instead, we should tell them about the miracle of Calvary and remind them: “Today is the day of salvation” (2 Cor. 6:2). Hundreds of thousands of people die every day without Jesus, whether or not He returns in their generation. This alone should motivate us to avoid foolish distractions and false prophecies so we can get busy with the task of evangelism. Our job is to preach the good news—not the bad news! For July 4th: Where Does the USA Fit into Prophecy? Three years ago we spun the magic Google wheel and landed on these answers to the question, “Why isn’t America in Bible prophecy?” We thought it was good time to haul these out again. …Maybe we’re just not as important as we once thought…we in the Western world tend to think of prophecy in terms of “prediction/fulfillment.” In other words, something is predicted in the Bible which is later fulfilled. But, Jewish scholars and many good Christian theologians tend to think of prophecy in terms of biblical “pattern.” For instance, nations fall into patterns of behavior which results in God’s judgment again and again. These are clearly outlined in Scripture. In terms of pattern there is no question that almost all nations including America fit into biblical prophecy. 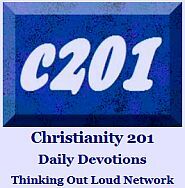 For example, Deuteronomy 28 & 29 lists the blessings of following God’s law and the consequences of disobeying it. Hosea 4 and Ezekiel 7 are two books which also list patterns of disobedience and God’s judgment. We might include Isaiah chapter 5 to feature consequences of disobedience, too. This one mentions large, beautiful houses sitting empty due to God’s judgment. This last September 11th we remember the trouble on that date and the many lost lives. We have people who are mourning the lost and many others who let the moment of the day bring swells of tears and pride. During this time we have many who see and are blinded at the same time by the same thing Israel was blinded by. Their own pride and stubbornness. They simply did not see their sins, nor acknowledge that the LORD God would judge them so severely. Even today the churches and many Americans do not see the trouble that is coming. Simply put, it will come to this nation, in like manner as it did to Israel. The reason again, pride and stubbornness, with an unwillingness to repent of their sins. This nation was raised out of the earth by God himself. It stood so many years for his good pleasure, not ours. Yet, the sins of the nation has become past being as bad as Israel. America is blinded! …The bottom line is there are a lot of theories over the years over what prophecy in the Bible might refer to the United States. A careful analysis of all of them indicates that there is not a single direct reference to the United States as a player in the last days. So, the question really is ‘Why not?’ If we are already in the last days, how could the United States not be a clearly defined player? The answer is, we don’t know because the Bible doesn’t say. Something happens by which the U.S. is paralyzed, sidelined or neutralized and therefore unable or unwilling to project influence to be a major force in the major events of the last days. That’s what Implosion is about, walking through a whole series of things that could happen to the United States, things that are consistent with Bible prophecies and what the Bible says will happen to various nations in the last days. A differing opinion: In this 35-min audio, the presenter feels America is in prophecy. Is the Second Coming Like Nothing We’ve Ever Seen? So yesterday I rather shook things up with the idea that the second coming might be be more gradual than the “in a moment, in the twinkling of an eye” event that many picture. In my defense, I’d like to point out that this particular phrase in I Corinthians 15:55 is, strictly speaking is referring to the resurrection of the dead. Offline, one of my friends suggested that what I was proposing was “a stealth return followed by a big reveal.” Why would anyone suggest such a thing? Well, the premise of the article was simply that if the second coming was to in any way resemble the first coming — this is Advent season after all — it’s interesting that Jesus breaks on the scene gradually: a birth heralded by angels and shepherds; a presentation in the temple; a glimpse into him confounding the teachers in the temple with his questions; then a long silence followed by a baptism in the Jordan River; and a first miracle at a Cana wedding. The scriptures are filled with parallelisms, symmetries, and something called chiasms, which we’ve looked at before here. I think such an attitude contrasts with the imperative of the gospel. The notion of redeeming the time, because the time is short. The notion of choosing this day who we will serve. The notion that now is the appropriate time, today is the day for salvation. There ought to be an urgency to our proclaimed message and our personal response. But here’s the thing, and this is closer to what I honestly feel: I believe that the prophetic markers are stacked like dominoes and that when things start to happen they will happen very quickly. One could potentially trigger another. It could all go down very fast. So we shouldn’t presume, like those who say, “So what happened to the promised second coming of Jesus? For everything keeps going just the way it has since our ancestors fell asleep in death; since the beginning of creation, nothing’s changed.” II Peter 3:4 (The Voice). …So do we find cause to believe that the return of Christ mirrors the first coming that we consider today; a birth in a remote province of the Roman empire to a couple of dubious marital status in a less than ideal setting created by the lack of available lodging? Yes and no. Sometimes the Bible indicates that the second coming mirrors the first coming only in terms of the contrasts. The first time we see Jesus riding a donkey into Jerusalem; the second time he appears on a white horse. As one reader pointed out “we’re told a bit at his ascension that he will come again in like manner as they have seen him go.” But what do we know about that? How long were the disciples staring as he rose into the sky? Was there a low cloud ceiling that day? The Bible’s tendency to brevity and concision makes me think that perhaps God didn’t just beam Jesus up, but his ascension may have have been more prolonged; a vertical processional to heaven. In the meantime, we have before us today the full details of his first coming; about which much is written and many songs are sung. This is incarnation. Christ the Savior is born. That’s the polite version. In more direct terms, it means I often — but not always — take things like what is printed below with a grain of salt. Still, I know there are people who don’t get exposure to this type of thing and it doesn’t hurt to have a window into such writing. Furthermore, I believe there were earlier times in my own life when I had insights — again I’m careful about the word visions — into things which had not yet happened. There are dangers in being too absorbed in various alleged words from the Lord about the future, and I believe an equal danger in being too dismissive when God gives people a piece of foreknowledge concerning our world. I sourced this at this link, but it is posted in a variety of places online. Feel free to use the comments section for your reactions. An old woman of 90 from Valdres in Norway had a vision from God in 1968. The evangelist Emanuel Minos had meetings (services) where she lived. He had the opportunity to meet her, and she told him what she had seen. He wrote it down, but thought it to be so unintelligible that he put it in a drawer. Now, almost 30 years later, he understands he has to share the vision with others. “I saw the time just before the coming of Jesus and the outbreak of the Third World War. I saw the events with my natural eyes. I saw the world like a kind of a globe and saw Europe, land by land. I saw Scandinavia. I saw Norway. I saw certain things that would take place just before the return of Jesus, and just before the last calamity happens, a calamity the likes of which we have never before experienced. 1. “First before Jesus comes and before the Third World War breaks out there will be a ‘détente’ like we have never had before. There will be peace between the super powers in the east and the west, and there will be a long peace. (Remember, that this was in 1968 when the cold war was at its highest. E. Minos) In this period of peace there will be disarmament in many countries, also in Norway and we are not prepared when it (the war) comes. The Third World War will begin in a way no one would have anticipated – and from an unexpected place. 2. “A lukewarmness without parallel will take hold of the Christians, a falling away from true, living Christianity. Christians will not be open for penetrating preaching. They will not, like in earlier times, want to hear of sin and grace, law and gospel, repentance and restoration. There will come a substitute instead: prosperity (happiness) Christianity. “The important thing will be to have success, to be something; to have material things, things that God never promised us in this way. Churches and prayer houses will be emptier and emptier. Instead of the preaching we have been used to for generations -like, to take your cross up and follow Jesus, – entertainment, art and culture will invade the churches where there should have been gatherings for repentance and revival. This will increase markedly just before the return of Jesus. “All that I have seen of war before is only child’s play compared to this one, and it will be ended with a nuclear atom bomb. The air will be so polluted that one cannot draw one’s breath. It will cover several continents, America, Japan, Australia and the wealthy nations. The water will be ruined (contaminated?). We can no longer till the soil. The result will be that only a remnant will remain. The remnant in the wealthy countries will try to flee to the poor countries, but they will be as hard on us as we were on them. “I am so glad that I will not see it, but when the time draws near, you must take courage and tell this. I have received it from God, and nothing of it goes against what the Bible tells. If you haven’t already, you need to read what was posted here 2 days ago: Here’s the link. The Bible says Jesus is coming back. But what does it mean that Jesus is coming back. Has he been down in the polls and he’s making a comeback? The language so familiar to those of us inside the church may be meaningless to those outside. Perhaps this is a good news return like the time Uncle Raymond returned from his year in India. He’ll toss the kids on his knees and tell stories and everything will be like it was before. Is that what it means? We believe that the second coming of Christ means that this time He is returning in judgment. If your life is yield to Him, then I suppose you approach this with joy, and it really isn’t unlike Uncle Ray’s return after all. But if you’re not sure, or definitely not ready, then I suppose you approach this with apprehension or even dread. I believe he’s coming very soon. I think we can present the imperative of responding to Christ without quantifying it in terms of the calendar. Personally, I think there are number of prophetic markers in place that have to happen first before the return of Christ. However, I believe some of these are stacked like dominoes, and that many of these markers could fall in quick succession. However, by reminding us of our mortality, we can introduce fear into the equation, and the experts say that guilt and fear are great motivators for making short-term decisions, but not long-term disciples. I don’t think I will ever die. It was the memory of this part of the presentation that got the ball rolling for what was posted on Tuesday. It occurred to me that years later, this person is now aware of the possibility that the second coming of Christ may not happen in his lifetime, especially as the clock keeps ticking and more years pass. 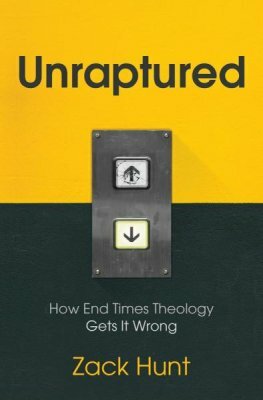 Of course, the overtones of pre-tribulation rapture theology are also implicit in this, and that viewpoint is, in my perception, losing supporters even among Evangelicals. I’m not saying there will not come a day when “some will never die,” but I’m not sure that a presentation of this nature is the right place to introduce that. I think what is more important to signal is that the return of Christ will signal a dramatic paradigm shift. In the incarnation, Christ came as one of us, and while the world changed — recognized every time you write the date — I think it was nothing compared to what it means when he returns as king. That said, I believe a closing statement — if one were limited by this three-point format — is to say something instead about responding to God’s love, God’s grace or some basic statement of the implications of the atonement. I suppose how deep a person wants to get at this stage depends largely on the type of people who constitute their audience, but whether or not the speaker will ever die is at best immaterial to the responsibility of the hearer to respond to the offer God is putting forward in sending Christ. Keep in mind, the speaker in this case — again click back to Tuesday for the backstory — was in his early 20s when he made the original presentation. But often our words are tossed out without preparation, and perhaps this type of music group or youth group approach needs to be written out, and even crafted with the help of someone with greater spiritual wisdom. I know that I had similar days I wish I could live over. I wasn’t the speaker in this example, but I probably used similar words and phrases when I did itinerant youth ministry. If nothing else, I hope this gives you something to think about. 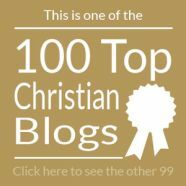 I’ve used Mary Agrusa’s writing several times at this site’s devotional sister-blog, Christianity 201, so I’m hoping she’ll forgive me for reprinting this in full here at Thinking Out Loud. The bottom line is, this really resonated with me, and if I just post a link, statistically, many of you don’t click. You can send Mary some stats love to her blog The Thought Just Occured To Me by clicking the title below and reading this at source. Mary Agrusa describes herself as an author, speaker, painter, teacher and day trader. The final blood moon is September 28th. I’m taking a break from my normal routine. My blogs are written several months in advance and any correlation between subject matter and current events is a Divine set-up. This week I decided to weigh in on this matter before and not after the fact. The hot topics in some of the Church are The Shemitah Cycle and the Blood Moons which are creating a good deal of fear and for a few, positive cash flow. For the most part, I’ve kept my opinions to myself and chose not to join in the fear mongering. As we approach the final blood moon and the end of the Shemitah cycle for 2015 I’m going to add my two cents into the mix. First, the Shemitah cycle and the Year of Jubilee were given to Israel and the purpose was two-fold. It allowed for the land to have regular periods of rest from production in order to keep nutrients and minerals from being depleted. Doing this helped ensure healthy crops and abundant harvests. Even today it is great gardening and farming advice. Second, these laws provided a system whereby people who had lost their ancestral lands could be restored to them. In theory, it was a great idea. Unfortunately Israel never consistently followed these practices and paid the price. So, what does the Shemitah cycle have to do with the U.S. stock and financial markets movement? 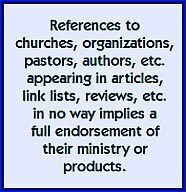 Scripturally speaking – nothing. These laws applied to Israel alone and there is no biblical evidence that any other nations ever received those mandates or were punished for a failure to comply with them. Although I actively day traded the markets for about five years, I don’t classify myself as an expert. I have, however, learned a great deal about market cyclicality and what makes them move in either direction. If we want to give kudos to someone who understands these things the award goes to Tom McClelland. Tom is a market timer and the offspring of the originators of the McClelland Oscillator, a tool used to forecast market movement. McClelland correctly called August, 24th ahead of time as the day the market would turn down and it did. As far as I know his call wasn’t based on either of the two popular Christian premises making the rounds but on solid technical and fundamental information and analysis. And he got it right. Anyone can predict that our stock market will take a downturn in the fall of the year and have a good chance of being correct. There are several things that go on “under the hood” that contribute to this. Here are just a few. Managers of large portfolios re-allocate resources. If they’ve hit their benchmarks for the year they sell out early in order to bank the profits and keep customers happy. If they’re on the losing side, for tax purposes, they need to slowly liquidate their holdings of millions of shares in an orderly manner to avoid panic selling. What this means is that the market can continue to rise higher but on reduced volume. That is what happened in our markets over the past few months. Corporations begin reporting earnings in October but it isn’t unusual for some to give guidance ahead of time. If they do the markets can move sharply based on this news. When earnings are announced often companies will give forward guidance; where they see things going in the future. This type of information can also have a serious impact on the market, up or down. Since the financial crisis of 07-08 companies have become leaner and more efficient. This helps the bottom line but only for so long. Unless sales are generated revenues shrink and profitability falters. Many corporations based projections for growth on China’s seemingly robust economy to balance out losses in the U.S. and Europe. Now that China has slowed there’s no one else to pick up the slack. For years our government poured obscene amounts of money into the equity markets and raised stock prices to artificial highs. People felt better when they saw their 401k’s and investment portfolios regain the losses and go in the black. With interest rates at record lows, bank accounts were no longer a place to park money. People were forced into the stock market to receive any type of return on an investment. These aren’t long term investors. This week the Fed will announce if it will raise rates and there is some speculation that they will. This type of policy change or one whiff of bad news could have short-term investors headed for the exits. The market’s bull run has been built on shaky financial underpinnings. Sooner or later it will reverse, it always does, and the results could be ugly. When that happens it will likely be the result of poor economic and financial policies, short-term investors cashing out, national and international events that can’t be predicted and not on God, Shemitah cycles and blood moons. About blood moons, Peter was very bold to declare that the events of Acts 2 were the direct fulfillment of Joel’s prophecy concerning these signs in the heavens. Rather than a time of doom, this event was an unprecedented outpouring of the Spirit of God on Jews and Gentiles alike. Prophecy, dreams and visions also expanded. One of my favorite ministers gave this advice concerning blood moons. Based on what Peter said he recommends that one put oneself in a position to receive dreams and visions from God. I like that idea. Jesus repeatedly spoke out against fear in every way, shape, form and manner. Unfortunately in the Church, fear sells even in direct opposition of the Lord’s teachings. 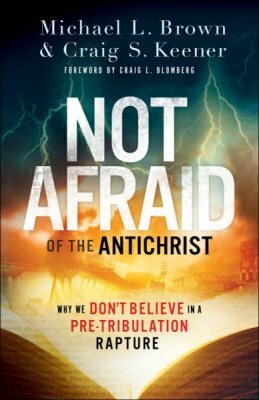 Why would unbelievers want what we claim to have when some of us are acting more frightened and pessimistic than they are? How about you? Are you fulfilling Jesus’ command to occupy until He comes or are you hunkered down and hoping for The Great Escape? Has the plethora of gloom and doom promulgated by ministers and ministries caused you to be overcome with fear and dread for the future? If so, is that the type of abundant life Jesus died to give us? The bible tells us over and over that there will be difficult and hard times, challenges to overcome but through Christ we are victorious over them all. Be an overcomer. Before his recent suspension from NBC’s Nightly News broadcast, I always thought that if I ever found myself sitting next to Brian Williams on an airplane, the first question I would ask is, “Do you remember the last time you did an evening newscast without a weather story? Much of the American news coverage revolves around hurricanes and tornadoes and drought in the summer and freezing rain and record snowfalls in the winter. One has to wonder if the place was ever meant to be inhabited. To those who constantly ask, “Is America in Bible prophecy,” the answer might have more to do with the country being diminished by weather catastrophe than by some major loss of economic influence. In my native Canada, we are more accustomed to the worst the meteorologists have to forecast. Everything from clothing to cars to housing must be able to withstand temperatures varying from -40°C to +40°C, and even lower wind chill factors and higher humidity indexes. (To my U.S. readers, I’m sorry that you are one of only two countries left that does not use the metric system. I think pride has a lot to do with that. The lower temperature is the same -40°F as this is the place where the two scales meet. The higher would be 104°F.) Canada has also built infrastructures — the banking of roads is a great example — with winter in mind and each municipality and province is well equipped with trucks and snowplows as well as alternatives to salt, which is ineffective below a certain point on the thermometer. By contrast, it was reported two nights ago that a large U.S. municipality has only 12 trucks for spreading salt, no doubt due to its situation in what is termed “the south.” Changing weather patterns mean that preparedness takes on a new importance. Perhaps this type of truck can be re-purposed for other duties when the temperatures are warmer. I heard it recently here suggested that America spends so much on its government bureaucracy, and so much on the war effort, that the money simply doesn’t exist to keep southern Interstate highways free of snow and ice. These verses are part of a longer prophetic section which, just as you can skip stones across a lake, had one more immediate fulfillment and can be expected to have yet another fulfillment to come. I think weather is a rather weak “sign” of the impending ending to the “age of grace” when compared with, for example, moral decay. When people say, “Look at the way the world is…;” they generally are referring to its spiritual state, not its meteorological state. Furthermore, it’s the aggregate of many signs that point to “final wrap up” here. I think we have a responsibility to close the windows so the rain doesn’t get in. In other words, we need to do the practical things we can do here and now. …I do think that much if not all of the weather phenomena we experience is the natural consequence of living in a fallen world. When we speak questions like, “How could a loving God allow so much evil to exist?” we are usually talking about genuine evil, and not snow or drought; but it all comes under the same category. This world is broken, and we are continually adding to that brokenness through our disregard for the environment. At the very least, the winter of 2014-15 should give us pause to consider our place in the cosmos, that we are no match for the elements, and yet for the most part we survive the winter and move on. Where my son is in Haiti right now, they might look at things differently however. The earthquake 5 years ago took 250,000 lives. While the tectonic shifts are not meteorological per se, they are the effect of living in a fallen world much greatly magnified. To that, I cannot answer today, but it helps us put our weather concerns in perspective. 4 Thoughts for the 4th: Where’s America in Prophecy?